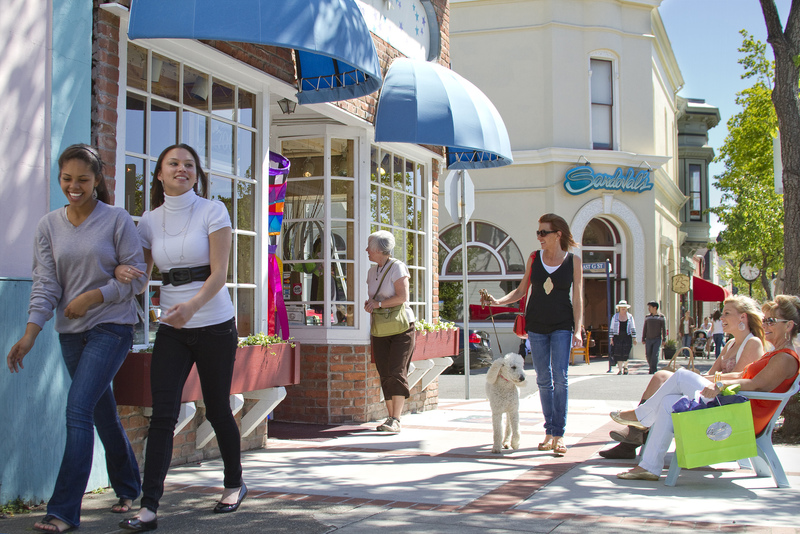 Benicia is filled with rich history and a world-class artist community, every corner one turns represents another story waiting to be told. And, there are plenty of locals willing to stop and take the time to fill in the blanks or add their own colorful interpretation of the town’s many assets. Just 40 or so minutes from San Francisco, Benicia is a small, waterfront community in Solano County, California. Before Sacramento became the state capital, Benicia was designated with that honor for nearly thirteen months from 1853 to 1854. 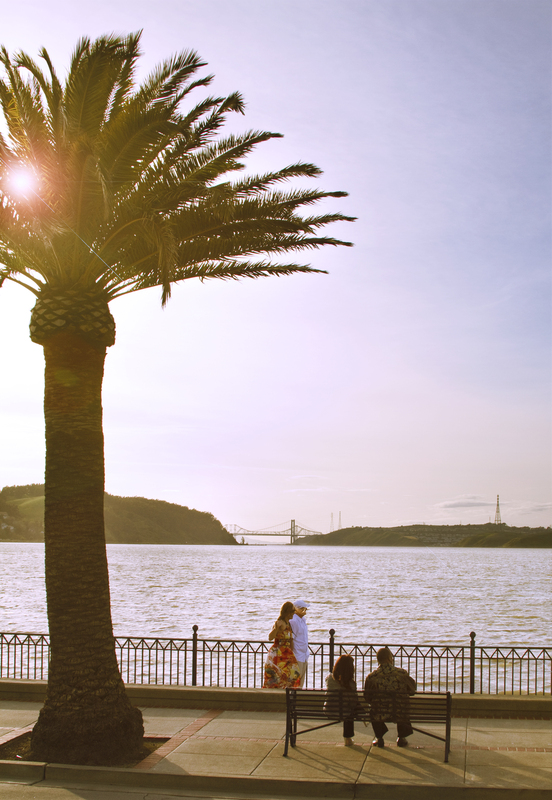 “People who visit Benicia for the first time are often surprised by what a fun getaway it is. We sometimes hear, ‘I’ve driven by hundreds of times, and didn’t know what I was missing,’” comments the town’s Economic Development Manager Mario Giulani. 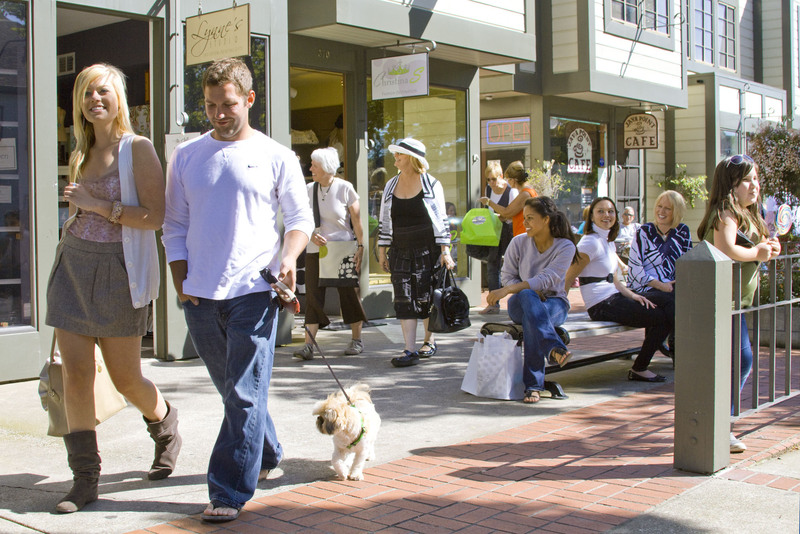 Historic Walking Tour — Start off the day with a free, self-guided walking tour of downtown Benicia. A well-documented map is available on Benicia’s Main Street, at the foot of First Street, across from the Promenade. It provides a comprehensive tutorial of the town’s many assets, its history and the options that will craft each visitor’s personal experience. Trails, Gardens and Wildlife — The tidal marsh, where the rivers meet the bay, forms a unique habitat in Benicia, which is home to rare and endangered plants and wildlife. Check out all the recreational options of Benicia’s State Recreation Area at http://www.parks.ca.gov/?page_id=476. Annual Events — Some prefer to take in the attractions of their host destination on their own and at a casual pace, however, for those that want to get into the thick of Benicia’s local amusements, there is a whole host of annual events that range from Open Studios, 4th of July celebration and Holiday parades to wine walks, Taste of First Street and Zombie Brew Crawl. Depending on the season, review the options at beniciamainstreet.org. TourCrarfters’ 3-day/2-night Music Under the Stars in Pompei package. It includes two overnights at the hotel of your choice, daily breakfast, car rental for three days (with pick-up and drop-off at the Naples airport or rail station) plus a ticket for the Pompei Festival, which takes place in August and September. Pompei is, of course, the ancient Roman city that was buried in the eruption of Mt. Vesuvius in 79 AD. The Festival, in its second year, presents opera and ballet performances—featuring international stars—in the restored 2nd-century B.C. Grand Theater of Pompei. Among the operas on offer are Tosca, La Traviata, Nabucco and The Barber of Seville (there’s a $15 surcharge for the operas). The ballets include Swan Lake and the Carmen Suite. It’s all quite a spectacle on a warm, starlit summer evening in a place that so splendidly evokes the history of Rome and, indeed, Italy. During the day the rental car offers opportunities to see the ruins of Herculaneum, a less-famous and less-crowded town buried in the same earthquake, drive/climb Mt Vesuvius for a breathtaking view of the Neapolitan and Salerno gulfs, or visit the Sorrentino Wimery on the slopes of Vesuvius, for a taste of the famous Lacryma Christi wine. Of course you can also tour the colorful city of Naples, which boasts a thousand-year history and authentic pizza, or drive along the stunningly beautiful Amalfi Coast, stopping for dinner in a charming resort town like Positano..
All prices quoted are per person, double occupancy, and are subject to availability. To see more information about other TourCrafters packages and a detailed itinerary for the Music Under the Stars in Pompei package, log onto www.tourcrafters.it and click “Deal of the Week.” For reservations, call TourCrafters toll-free at 1-800-ITALY95. TripAdvisor recently revealed the winners of its 2015 Travelers’ Choice Awards for Landmarks for both the U.S. and the world. 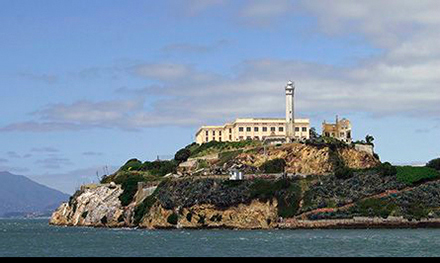 Number 1 on the list for the United States is Alcatraz Island in San Francisco, which ranks number 8 on the international spectrum. Visit www.alcatrazcruises.com for more information about Alcatraz tours and to purchase tickets, up to ninety days in advance. Alcatraz Cruises is the National Park Service concessioner of ferry service to Alcatraz Island in San Francisco Bay, which is part of the Golden Gate National Recreation Area, one of America’s 407 National Park sites. Alcatraz Cruises hosts nearly 1.5 million visitors annually. Alcatraz Cruises designed, built and operates the first hybrid ferry in the United States. The Hornblower Hybrid’s revolutionary design has reduced fuel consumption by 75% and has already begun to be implemented in other parts of the country. For more information visit: www.alcatrazcruises.com. It’s all hands on deck as the El Galeón sails into New York Harbor and the South Street Seaport from July 4 – 12, 2015. Hornblower Cruises & Events presents this unique experience aboard an authentic wooden replica of a 16th century ship that was part of Spain’s West Indies fleet. Surrounded by exciting, family-friendly pier activities, visitors will be able to relive the route of explorer Ponce de Leon aboard this 170-foot wooden ship and explore the exhibition of “San Pelayo” to gain first-hand insight into 16th century Europeon sailing techniques and navigational technology. El Galeón will be available to the public for daytime tours and private evening events for a limited one week engagement beginning July 4th. Docked at Pier 15 at the South Street Seaport’s Waterfront Esplanade, El Galeón features three huge masts, seven sails, six decks and crew quarters. Visitors can relive the days of the Buccaneers as they stroll through the spacious main and upper decks, gun deck, quarter deck and Admiral’s room. The ship is available for daytime tours 9am – 5pm as well as options for evening private events with a capacity of 225 and is a unique venue for business and professional conferences, workshops, educational programs, VIP events, festivals, shows and recreational activities. For more information, please visit www.hornblowernewyork.com. El Galeón is a 170-foot 495-ton detailed wooden replica of a galleon that was part of Spain’s’ West Indies fleet. During the Viva Florida 500 voyage, it will cover more than 3,500 nautical miles with 28 crew members aboard, maneuvering more than 9,600 square feet of sail area, as it was done in the 16thcentury. El Galeón was featured in the NBC miniseries “Crossbones,” starring John Malcovich as the legendary pirate Blackbeard. El Galeón began its historic Viva Florida 500 Voyage in Spain and stopped Puerto Rico, where Ponce de Leon was once Governor. The ship’s Florida route was similar to the one Ponce de Leon sailed 500 years ago, and the crew is using the navigational technology of that era. Ponce de Leon’s arrival in Florida in 1513 marked the beginning of a European presence in what is now the U.S. mainland. He also is credited with discovering the Gulf Stream, which led to the development of the early trade routes between Spain and America. In 1778, the original L’Hermione belonged to the category of so-called “light frigates,” characterized by their speed and agility. L’Hermione was fitted out with 26 cannons shooting 12-pound cannonballs. She took 11 months of work for 100 carpenters, blacksmiths, drillers, caulkers and convicts. The beloved Lettie G. Howard is one of few surviving examples of the fishing schooners once in wide use in the North Atlantic. She is a rare beauty with classic fishing schooner lines, turning heads wherever she goes, and is a designated National Historic Landmark. After an active life in the fisheries of the Atlantic and Gulf Coasts, Lettie arrived at South Street Seaport Museum in 1968. In 1994, after an extensive two-year rebuild that restored her to her original appearance, she was certified as a Sailing School Vessel by the U.S. Coast Guard and began a new career carrying students of all ages on life-changing voyages. In 2013 she turned 120 years old and she’s as beautiful now as she was when she first slid down the ways at Essex, Massachusetts in 1893. In celebration of this milestone and with an eye to the future of this living artifact, South Street Seaport Museum undertook a capital campaign to raise funds for critical repairs and restoration—most significantly her keelson, a structural element that runs from stem to stern. Projects of this size and scope are periodic needs in the maintenance of historic ships. This project in particular brought Lettie back into service as a Sailing School Vessel, and working in collaboration with New York Harbor School, it ensured her place in the lives of generations of student-sailors to come. Founded in 2003 and located in the heart of New York, the Harbor School offers a unique, on-water learning experience for all its students. Students learn to build and operate boats; spawn and harvest millions of oysters; design submersible, remotely-operated vehicles; conduct real-life research; and dive underwater. Students go on trips, tour colleges, hear and learn from experts in science and industry, and participate in the school’s on-going oyster restoration. The maritime programs of Harbor School are supported through funding provided by New York Harbor Foundation, a nonprofit organization dedicated to improving the condition of, and promoting access to and education about, New York Harbor. New York Harbor Foundation seeks to achieve these objectives by conducting research and outreach activities, and designing and running services to improve the quality of the Harbor. Give Dad what he wants this Father’s Day – relaxation and beer! Dad will enjoy the unique experience of a Father’s Day Beer Brunch Cruise and the spectacular views of San Francisco Bay that can only be seen on the water. He will feast on an elaborate brunch buffet with all of Dad’s favorites, free flowing beer in a keep sake pint glass and a fun filled afternoon on the bay with his family. Take advantage of the convenience this cruise offers by boarding in the East Bay. Show Dad how special he is by treating him to a Hornblower Father’s Day Dinner cruise. Hornblower makes celebrating the day simple by combining a delectable four-course dinner, scenic views and live entertainment. Bring the whole family together on the scenic San Francisco Bay as an unforgettable Father’s Day gift! Gather the whole family for Hornblower’s Father’s Day Beer Brunch Cruise! This once-a-year favorite, treats fathers to an enticing buffet and free-flowing beer and a keepsake pint glass! Relax with your family as you enjoy live entertainment and pass by the breathtaking San Francisco Bay views. There is no better way to show Dad how much you appreciate him than with this unforgettable cruise. Souvenir Hornblower pint glass for Dad! Hornblower Cruises & Events’ San Diego port is launching their seasonal Blue Whale Watching Adventures cruises on June 27, with an end date of September 6, 2015. Departing from the convenient location of Embarcadero downtown San Diego at 970 North Harbor Drive, daily tours start boarding at 8:45 a.m. for the 9:00 a.m. – 1:00 p.m. daily excursion. Price is $75. per person ($40 for children 4-12), with the addition of tax, service charge and landing fee. For a limited time, Hornblower Cruises & Events is featuring a “Splash Sale,” which is priced at $99. for two people. This specialty cruise is designed for those that love whales, dolphins, sea lions and sea birds. After boarding, guests will speed out to sea on one of the fleet’s comfortable yachts and pass barking sea lions and pods of leaping dolphins in search of the legendary blue whales. During the four-hour tour, passengers will be treated to a live narration by an experienced captain and an on-board naturalist (from the San Diego Natural History Museum). The accommodations are designed so that guests can enjoy both the outdoor and indoor environments along with the amenities of a snack bar, featuring hot food, a full bar and souvenirs. For general interest information and the Captain’s Log of Marine Life Sightings, check out:http://sandiegowhalewatching.com. To book this excursion or for more information, please visit:www.hornblower.com/port/overview/sd+bluewhalewatching. Hornblower Cruises & Events has been the leading charter yacht and public dining cruise operator headquartered in California for 35 years. The company operates over 70 vessels, including the three largest dining yachts on the West Coast and has ports in San Francisco, Berkeley, Sacramento, Long Beach, Newport Beach, Marina del Rey, San Diego and New York City. Two Hornblower subsidiary businesses, Alcatraz Cruises and Statue Cruises, are National Park Service ferry concessioners to Alcatraz Island, the Statue of Liberty and Ellis Island. In 2014, Hornblower Cruises & Events began operating the third subsidiary, Hornblower Niagara Cruises, out of Niagara Falls, Ontario, Canada. For more information visit: www.hornblower.com or www.hornblowernewyork.com. Here’s a least-expensive introductory tour to the exotic, colorful and fascinating land of India. The Incredible India tour includes round-trip air fare on Air China and deluxe hotels like Crowne Plaza and Meridien, as well as daily buffet breakfasts, two lunches, three dinners, all transportation in India, sightseeing and entrance fees, professional English-speaking guides—and more included features (like a Bengal tiger jungle safari) than any other budget-priced tour. The tour covers the cultural riches of northern India. The capital Delhi, for example, offers a view of Indian history from ancient settlement through the Mughal Empire and the British Raj to the present. Sightseeing here includes a rickshaw ride through Old Delhi’s narrow alleyways and chaotic market, the country’s largest mosque and Humayun’s 16th-century garden-surrounded tomb. A mind-boggling contrast is provided by the tree-lined avenues of Edwin Lutyens’ 20th-century imperial city, New Delhi, and Mahatma Gandhi’s former home. On to Ranthambhore National Park’s tiger reserve, after a stop to see the 16th-century “ghost town” of Fatehpur Sikri. In Ranthambhore the tour offers morning and afternoon game drives that will hopefully provide a sighting of the elusive Bengal tiger. Another highlight is the pink city of Jaipur, the capital of Rajasthan, and a ride on an elephant, complete with mahout, to the hill-top Amber Fort. The group is also invited to the Castle Kanota (recognizable from the movie, The Best Exotic Marigold Hotel), where the royal family still lives, for an Indian-style afternoon tea. There’s plenty of time for shopping in this city known for fabrics and handicrafts, as well as two optional excursions to the City Palace and the Birla Temple. The tour winds down with a return to Delhi and a farewell dinner. Incredible India Holi—Festival of Colors: In March 2016 two departures of this tour take in the Holi Festival in Jaipur. To help tour participants celebrate Holi, World Spree offers a Holi makeover so everyone dresses for the occasion in traditional regalia. They then join with locals dyed in a rainbow of wild colors and enjoy a day of dancing, singing, music, exotic drinks and snacks. It’s an unbelievable spectacle and a wonderful surprise for photographers..
All prices are cash-only, are per person double occupancy, and are subject to availability. For more detailed information about Incredible India, log onto www.worldspree.com, click “tour packages” and then “India.” World Spree’s toll-free telephone number is 1-866-652-5656. The National Park Service is pleased to announce the return of the award-winning ‘PRISONERS OF AGE’ exhibition from photographer Ron Levine and designers Michael Wou and Russel Volckmann to Alcatraz Island July-December 2015. This exhibit marks the next in a series on Alcatraz that focuses on aspects of crime and punishment, incarceration, freedom and social justice. PRISONERS OF AGE’ is an evocative series of photographs and chronicles of elderly men and women, taken over a period of 18 years, at prisons and prison-wards for geriatric offenders in the United States and Canada. Prisoners of age comprise the fastest growing age group in the United States. One-in-ten inmates is 55 or older. A decade ago, that was one-in-twenty. Existing prison space is in serious decline and medical costs are soaring. Incarcerating geriatric men and women in prison is becoming prohibitively expensive- up to 9 times the cost of a younger inmate. As Federal and State prisons begin to look more like high security nursing homes, the people who manage North America’s prison system worry about how to handle the imminent explosion in the geriatric population. Through photography and interviews, ‘PRISONERS OF AGE’ offers a microcosmic glimpse of what lies ahead in this new millennium. ‘The exhibition features 60 larger than life photographs and revealing narratives from conversations with the inmates, guards and prison officials. The exhibition is designed by Michael Wou and Russell Volckmann. The exhibit is displayed in the New Industries Building (July – Dec. 2015) and will be open to the public visiting Alcatraz Island during daytime hours for no extra charge. Exhibit hours are 10 am to 2 pm. For additional information, please call NPS Alcatraz at 415-561-4900. Tickets to Alcatraz frequently sell out many days in advance. They are only available through Alcatraz Cruises, the official park concessionaire for ferry service, 90 days in advance: alcatrazcruises.com or 415-981-7625. The full exhibit was last seen at Alcatraz Penitentiary in 2000. It has also been seen in The National Archives of Canada , Eastern State Penitentiary Museum, Philadelphia , Kilmainham Gaol, Dublin , Fremantle Prison Museum, Perth , and The Powerhouse Gallery, Brisbane .